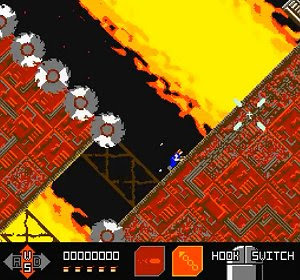 Infernal Edge is a freeware retro platformer game with a survival theme. The player has to battle a cybernetic alien race called Unicus in the Space Station LV-427, doing whatever he can to avoid the deadly dangers that are waiting around every corner. A grappling hook will help us navigate the space station and reach places otherwise impossible.